This was one of the best decisions I've made for myself and my home. It’s a common misconception that in order to have a smart home, you must get in during the building phase. We’ve debunked that myth. Whether your home is yet to be built, in the construction process, or has been standing for years, Control4 has the power to make it the smartest one on the block. And size is of no importance; you can smarten up a small flat or a sprawling estate. Our products are built to scale. This means you can start with a universal remote for all of your entertainment equipment and then add a few smart lights or door locks (or anything else) as you’re ready to expand. Your Control4 home is powered by a system controller—the brain of your home. 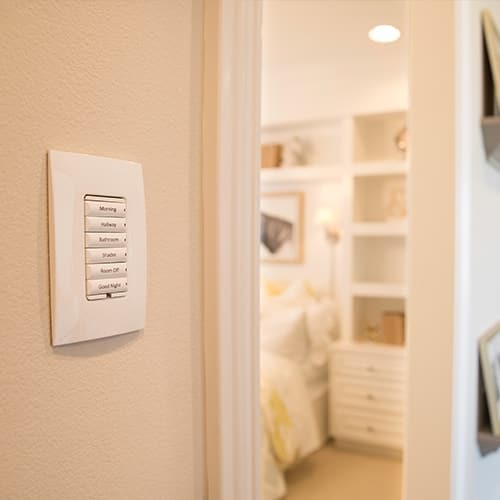 Then, by using a Control4 interface—like a handheld remote, a wall keypad, or touch screen—you can conveniently connect to wired and wireless devices, allowing you to adjust the thermostat, start music throughout the house, close the shades or garage door, or perform many of these actions in unison. From a full smart lighting line to audio equipment, thermostats, cameras, speakers and beyond, we’ve developed products that enhance your security, comfort, convenience, and entertainment at home. Our software operates on an “open” platform. This means you have choice. Whether you want to use products from other manufacturers or choose the products we have purpose-built for the smart home, it’s entirely up to you. Brands like Bose, Dish, Denon, LG, Samsung, and Sony already have Control4 technology built into many of their products, but Control4 also communicates with more than 13,000 devices from over 300 brands. The way you listen to music, relax, work, watch a movie, cook, entertain, and create—are all made better when the products you personally know and use every day are integrated into a single system. A Nest thermostat, a Phillips Hue light bulb, a Ring doorbell camera—they’re all controlled through their respective apps. But do any of them communicate together? Does your porch light illuminate at night when the doorbell is pressed? Will your door camera allow you to remotely grant access to a service worker while you’re away? Can every light be turned off as the thermostat sets itself into “Away” mode when you leave for work? With Control4, your home can do all of this—and so much more—on an easy-to-operate system the whole family will love. A press of a button turns off every light and television, then arms the alarm. A voice command brings up the kitchen lights and turns on Food Network. Set the scene automatically with lights that dim as the movie starts. Arrive home to a well-lit house, shades drawn, and the perfect temperature. Tap an app and send your house music to the patio and pool. An intelligent home also works for you without having to touch anything at all. For instance, who wants to come home after a long day to a dark house? 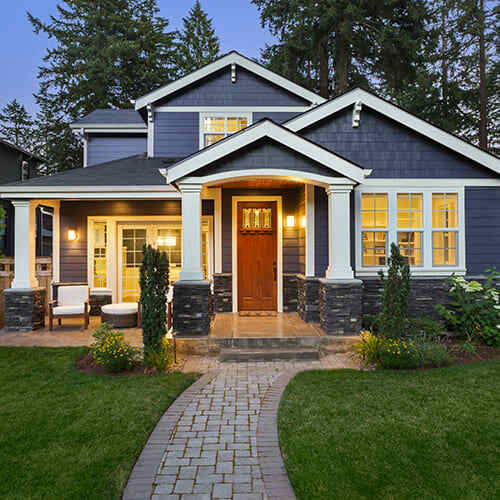 Instead, arrive home from work to a brightly-lit exterior, lights to lead a pathway indoors, and your favorite streaming music station playing overhead. When your smart home prepares itself for your arrival, departure, morning rise, or bedtime ritual, that’s convenience at its best. There are times when you may want to make a tweak to your lighting schedules, music choices, and security features. Once your smart home is set up by a professional to ensure a strong, reliable system, then you’ll get keys to the automation driver’s seat with our easy-to-use homeowner personalization tool. With only a few clicks, tie a keypad button to a playlist, receive a push notification when your security system is triggered, and edit lights to come on at different times of the day or night. A yearly 4Sight subscription cloud-enables a secure connection to your home, unlocking voice control capabilities, push notifications and alerts, remote access, and mobile control from wherever you are. You’ll also get access to When >> Then so you can make your own automation changes, as well as the ability to make video calls into the house or take calls from the front door. With 4Sight, you get the most out of your smart home.